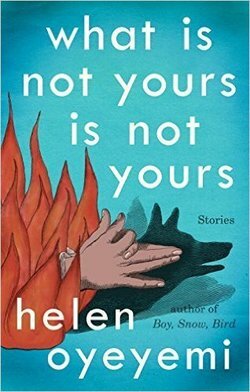 Helen Oyeyemi, who was named one of Granta’s Best Young British Novelists in 2013, continues to intrigue with her first collection of stories What Is Not Yours Is Not Yours. Each of the nine playful stories centers around a key, both metaphorical and literal, opening doors to the kind of fantastical plots and insightful observations that readers have come to expect from her. Oyeyemi’s stories carry with them more than a whiff of fairy tales—from the opener, “Books and Roses,” about two women in Barcelona whose search for lost loved ones lead them from a private library to a secret locked garden, to “Dornicka and the St. Martin’s Day Goose,” a fractured take on Little Red Riding Hood. “Is Your Blood as Red as This?” is the sinister story of puppeteers in thrall to their puppets with echoes of Pinocchio’s existential desire for realness and the chill of adolescents competing for sexual attention. Cautionary tales such as “Sorry Doesn’t Sweeten Her Tea” and “If a Book is Locked There’s Probably a Good Reason for That” remind the reader that sometimes things are off limits for good reasons. Though the stories’ plots are not linked, recurring characters pop up in more than one tale, and several are students or teachers at the school of puppetry that serves as the setting of some of the collection’s spookiest moments. Despite the allusions to haunted houses, padlocked gardens and murderous tyrants, the tone is cheerful and the stories surprisingly upbeat; in “A Brief History of the Homely Wench Society,” the conclusion is downright sentimental. Oyeyemi has been inspired by African folklore and ghost stories since her debut, The Icarus Girl, and here she pulls from sources as varied as Cuban mythology, Edgar Allen Poe and the Brothers Grimm. Though a few convoluted tales fall flat, the best are cleverly crafted to both embody and subvert the archetypes they explore. Her enthusiasm for a world where witches and phantoms coexist with psychiatrists and graduate students is infectious. What Is Not Yours Is Not Yours leaves readers with the captivating notion that behind every locked door lies additional mysteries. Visit www.bookpage.com for more reviews by Lauren Bufferd.